Rats are extremely dangerous as they destroy property with their constant gnawing and chewing through wooden structures and wires. This chewing not only damages buildings but will expose the wires posing potential risks of electrical shorts or building fires. Rats can also facilitate the spread of disease among humans and household pets as well as lead to contamination of food sources through their urine, saliva and fleas. They carry a host of viruses, bacteria and disease causing organisms some of which are potentially harmful to humans e.g. Hantavirus, Listeria, Rat-Bite Fever and Salmonellosis. How do Rats Access your Property? Rats can get into your home in unimaginable ways. Their flexible bodies can fit through cracks, crevices and holes of various sizes gaining access to your home or business. Open windows and doors, ventilators, shingles or chimneys on your building’s roof are other main entry points for rodents. Proper hygiene and sanitary practices to discourage a rat infestation. Locating and sealing all the points that can allow the entry of rats into your premises. Using metal rodent guards to avoid access. Keeping food in glass containers with tight-fitting lids. Critter Control® Gainesville can effectively help you prevent the spread of disease and avoid costly damage to your property with professional rat control services. As an expert pest control company in Gainesville, we can get rid of your rat problems in a safe, reliable, prompt and cost-effective manner. 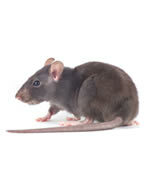 Our rat control team will develop a long-term rat control solution that involves thorough inspection, proofing, trapping and sanitation procedures to address to your specific rodent problem. Contact us to help deal with your rat issues and keep them at bay for good by calling 352-372-3922 for a free consultation.